On Tuesday, we marked the launch of a Church Graft in the ABI [Aberdour, Burntisland and Inverkeithing] group of congregations with the Introduction of Revd Dean Norby as Priest in Charge. At the beginning of the Service, I said that we sometimes have to work very hard to discern what God calls us to – and sometimes it seems to be there in front of us. 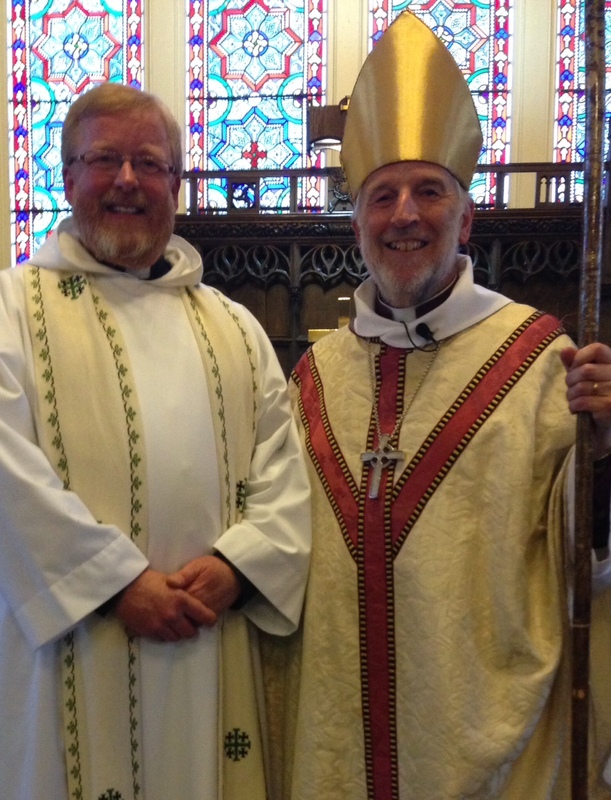 It’s been like that here – Dean believes that he is called to build up the church in Fife. The three congregations are keen to grow. There is a Fife Connect Group already meeting in the area. The population in Fife just across the Forth Bridge is growing and the new Crossing will increase that growth. St Paul’s and St George’s is keep to develop a church-planting ministry. So we all came together on Tuesday evening in Inverkeithing Parish Church. Revd David Richards from P’s and G’s was the preacher and we set out in hope together. There will be challenges and difficulties ahead. But I am fascinated by the amount of interest – and approval – which this move has generated in our own diocese. It’s exciting. Inducted in a building that stands on a site that first hosted a Celtic church in 400AD! As David Richards told us in his sermon. Dean and David look relaxed and happy to have got to this important point in the new life of ABI and graft. Picture has come our well in the blog. Alan.